Before entering the health professions, we were patients. We have all been a patient first. And as a medical student in my preclinical training, the memories of being the vulnerable party are more salient than the knowledge conveyed by my big white coat. So, in this space, I am looking for the training that will make patients like myself feel comforted and create an open environment. One of the lenses I bring to this perspective is that I am queer. While learning about allergy and immunology, a memory resurfaces: the time I went to the allergist and lied that I had a reaction after kissing my “boyfriend,” not my girlfriend, because I was afraid of discrimination or being denied care. When learning about sexually transmitted infections, I wait to learn about risks for queer patients to contrast my memory of hearing “lesbians aren’t at risk.” And when talking about AIDS, I recall when a gay male friend had mono and one of the first questions asked was “how likely is it that you could have HIV?” so I listen for mention of any population besides gay men, but nope, it seems that they are the only ones who get this disease. As a queer patient but also a medical student, I look at medical education for the moments that will make my generation better: instructing us on how to make patients of all genders and sexualities feel comfortable, teaching us correct information relevant to particular populations, and busting myths driven by a culture of systemic homophobia and transphobia. My experience as a queer patient informs my expectations in medical education. And I had higher expectations. Instead, I was let down by practice questions that reinforce stereotypes, and complete lack of representation of certain groups. And medical education translates into the experience provided by health professionals, so, if I went with the flow, I would become just another doctor who doesn’t know the basics of queer health and, knowingly or unknowingly, provided inadequate care to a uniquely vulnerable population. So I decided to change that. 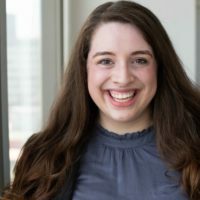 With the help of a peer and an advisor, I brought together resources to create a queer health curriculum—a “Queericulum.” We created a series of online modules consisting of primary resources and case-based scenarios to introduce to medical students the breadth of LGBTQI+ patient and family issues. I introduce this to FemInEM as both a hopeful future emergency medicine doctor and as a patient. As a patient, I want to know that I will not experience discrimination, mistreatment, or refusal of care. As a patient, I want to feel confident that my caregivers know about my unique needs, rather than having to teach them myself. As a patient, I want to know that everyone in the emergency department knows how to deal with my health concerns while treating me as a human being. And as a medical student, I am working to that happen.